Every New Year, we pen a list of resolutions promising ourselves that this will be the year we’ll make more time for exercise and improve our health and fitness. Anyone who’s been to the gym during the first week of January knows they’re not the only one who’s made this pledge. And anyone who’s been to the gym a couple months later will notice they’re not the only one experiencing a few obstacles when it comes to keeping it. This year, why not resolve to get a jump-start on your resolution by making fitness a habit before those sluggish winter months hit? We’ve got a few tips that may help, especially if you have a trip to Alaska planned in your near future. 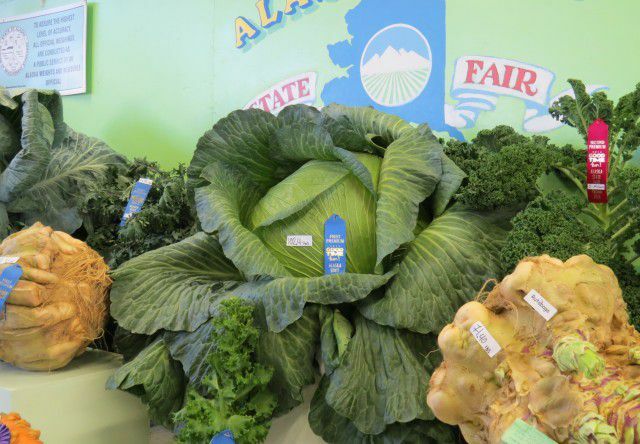 Harvest season is upon us and chefs across the state love taking advantage of this time of year by incorporating Alaska Grown veggies into their menus. Not only are these meals more flavorful and nutritious, but there’s nothing better for you than fresh, local produce. Have a whirlwind schedule and only 30 minutes to spare? You can still make time for exercise! While staying at our Anchorage or Fairbanks locations, head to our state-of-the-art fitness centers equipped with a variety of aerobic machines and weight-training equipment. Even 15 minutes of running on the treadmill will get your heart pumping and give your metabolism a little kick in the pants. Plus, half the challenge of exercise is simply dragging yourself to the gym. Once you commit to a short workout, you might be compelled to stay and sweat a little longer! The fall months are a great time to get outside in Alaska. The crisp air calls for lots of blood-pumping exercise, and there’s no snow on the ground yet to require any winter gear. Not to mention, the fall colors set against the snow-dusted mountains create a stunning backdrop for any activity. A mountain hike is a great way to spend the afternoon, but even a walk around downtown can offer plenty of sights and new discoveries. Elevator or stairs? Sandwich or salad? Steak or fresh Alaska seafood? Making healthy choices now will ease your transition into a lifestyle change come January, and will make your New Year’s resolutions feel a lot less urgent!